Nested in Forks Township serving classic Americana with some gourmet fare, Alfie’s Kitchen is everyone’s ideal place to grab breakfast and lunch. 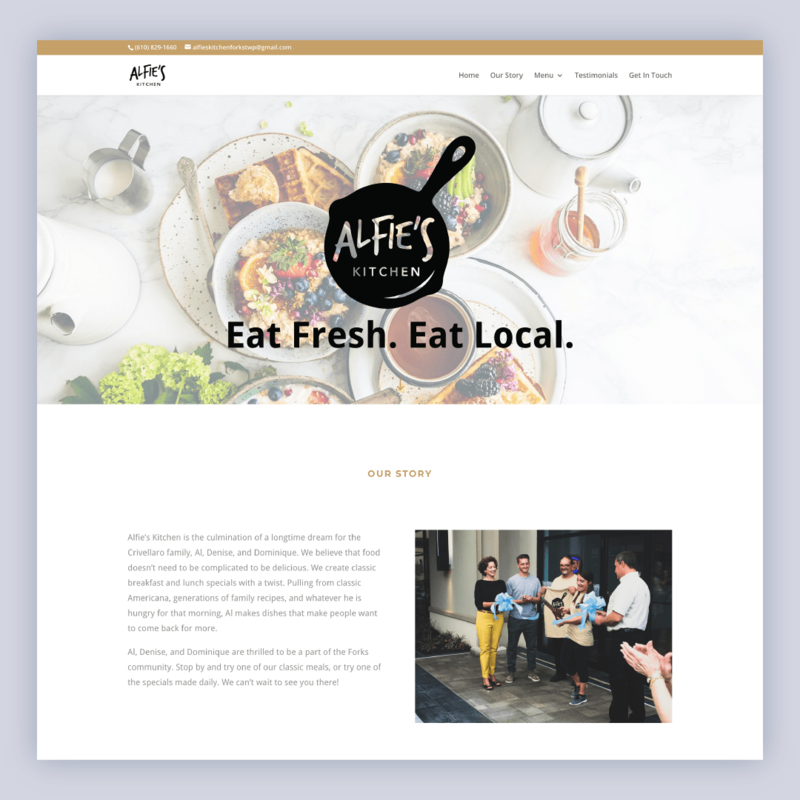 The company launched in 2017 and they were in need of a responsive site that shared their story and informed visitors of their menu and hours. I was tasked with taking this project from concept to completion. Along the way I designed wireframes, high fidelity comps using Sketch and InVision, and developed the site quickly to ensure the project met the deadline. Keep the site simple, and focus on the menu and story. Alfie’s Kitchen had a really quick turn around with no budget. They say don’t mix business family, but sometimes you barter for food, and help out family when they ask. Working on this project taught me how to meet tight deadlines and it allowed me to break away form the day to day production of Intelligence work.